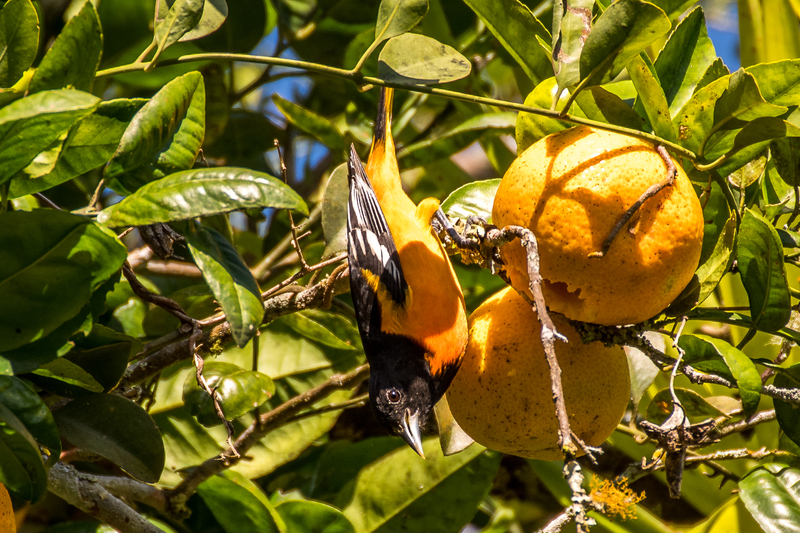 The Baltimore oriole (Icterus galbula) is a small icterid blackbird common in eastern North America as a migratory breeding bird. It received its name from the resemblance of the male’s colors to those on the coat-of-arms of Lord Baltimore. Thje attached image was taken in Panama.